The Muizenberg Jazz Festival is taking place on November 16 and 17 at the Masque Theatre in Muizenberg. After a successful inaugural event in 2017 validated by major print media, sponsors, media partners, audiences and most importantly by the artists themselves, the Muizenberg Jazz Festival is bound to grow in size, to a bigger more memorable experience. Tucked in between iconic Surfers Corner and Muizenberg mountain peak, the Masque Theatre’s proximity to main roads, highways, and public transport makes quality entertainment easily accessible to all people coming from anywhere and by any means. The lineup this year will feature 10 Jazz acts again, each performing an hour long set over the course of the two evenings, as well as a photographic exhibition in the foyer of the theatre. The festival offers diverse Jazz genres such as Contemporary Jazz, African Jazz, Fusion Jazz and World Jazz as well as 2 Big Band performances. The line-up includes performances by Tucan Tucan, Ivan Mazuze, Darren English and The Lady Day Big Band, to mention a few. The Masque Theater comfortably seats an audience of 165 and is built and equipped to provide a high-fidelity, uninterrupted listening and viewing experience, making Muizenberg Jazz Festival a delightful festival for listeners, musicians and spectators alike. The Festival vision lies in three main criteria: to provide a place for the artist and art form to thrive; to thoroughly entertain audiences; and to “leave the surrounding community and audience enlightened, engaged and enriched”. 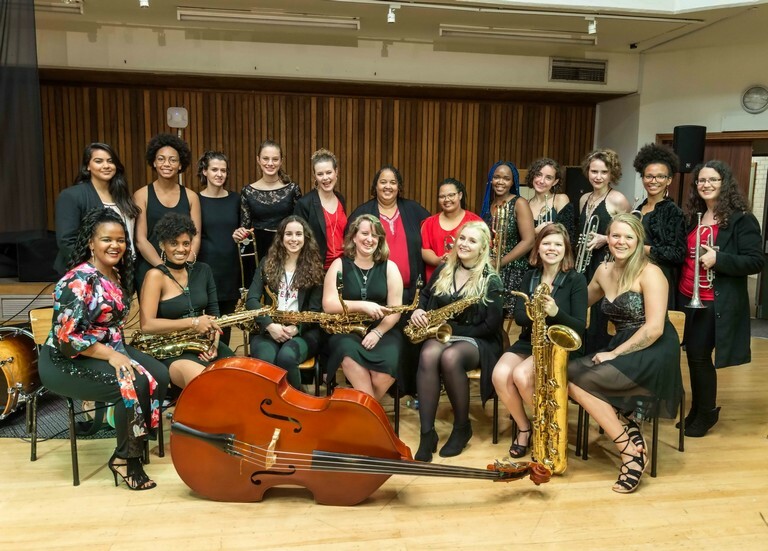 Three Workshops organized by SAJE (South African Association for Jazz Education) and CTBBJF (Cape Town Big Band Jazz Festival) will take place on Saturday, November 17, in the morning at the Masque Theatre’s auditorium from 11am to 3pm. Opening of Jeffrey Abrahams Jazz Photography Exhibition in the foyer of the Masque Theatre before a performance of JAZZART Dance Theater at 7.30pm at the auditorium of the Masque Theatre. * Tickets can be booked via Computicket, or by calling 021 788 6999. Visit muizenbergjazzfestival.com for more information.